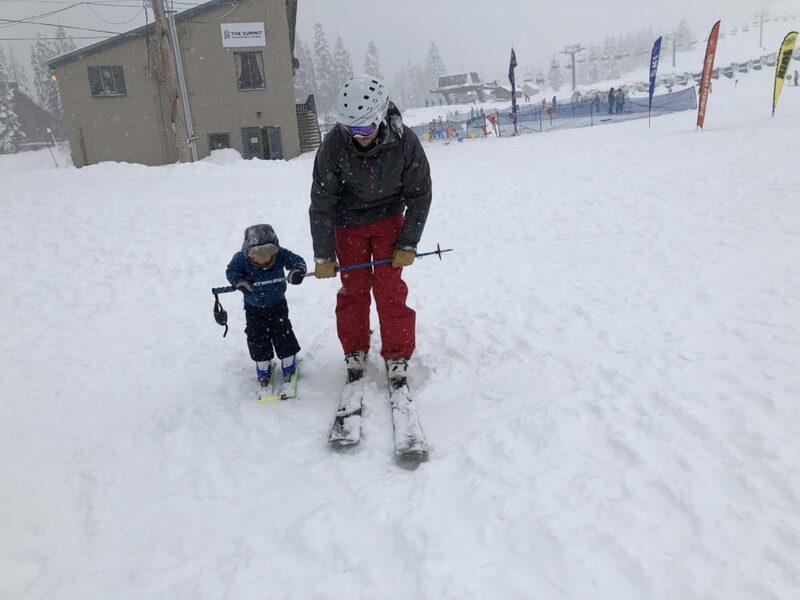 Last winter we got Ben out on skis for the first time. 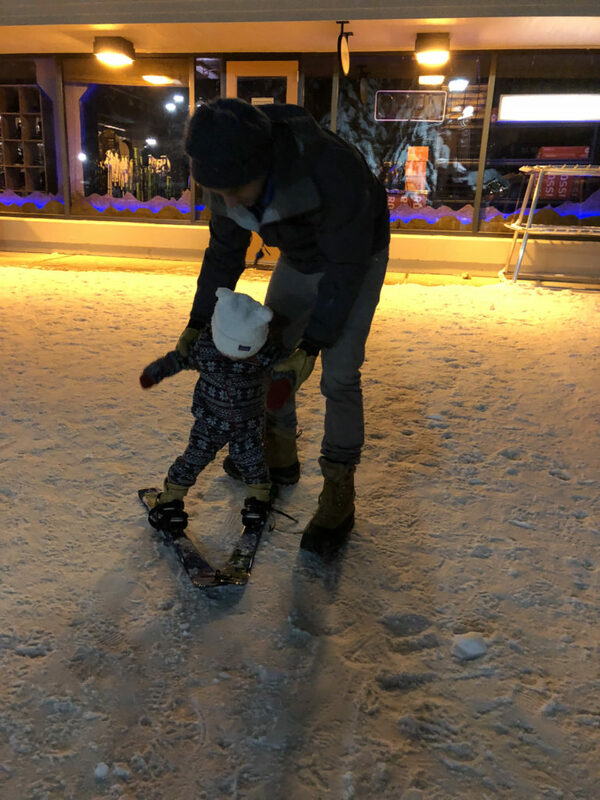 We bought some little plastic skis that attached to his snow boots and pulled him around in the snow. He loved it! 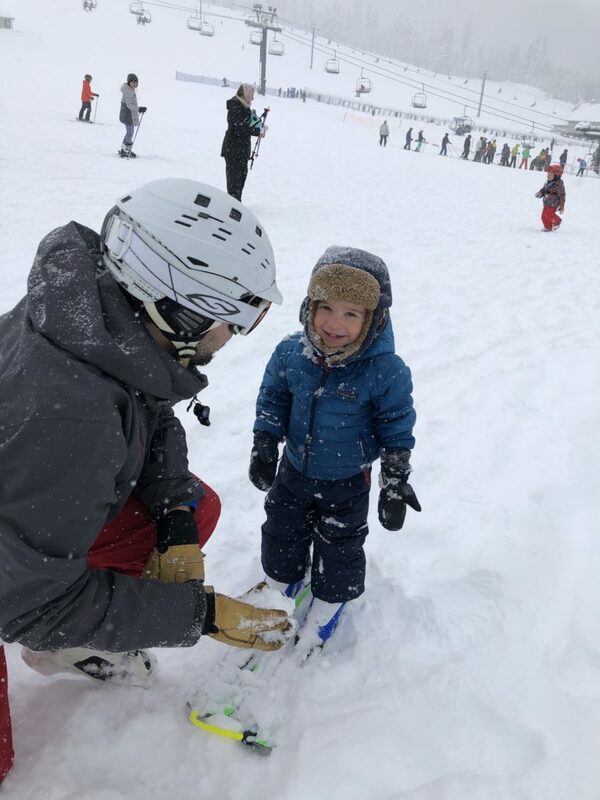 This winter we stepped up our game significantly and invested in a helmet, goggles, real deal skis and boots and even ski socks for our little learner. 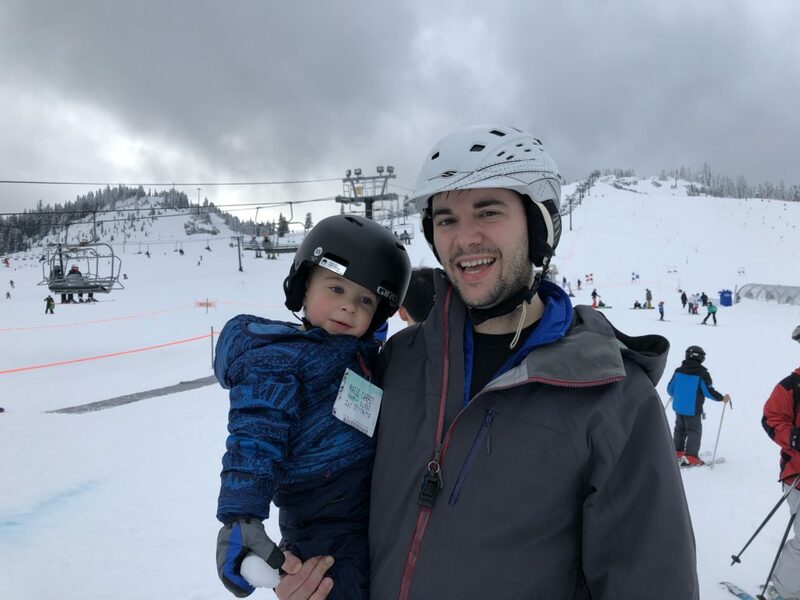 Naturally since Alex and I are very much into skiing we’ve been eagerly awaiting the day when we could introduce Ben to one of our favorite pastimes. 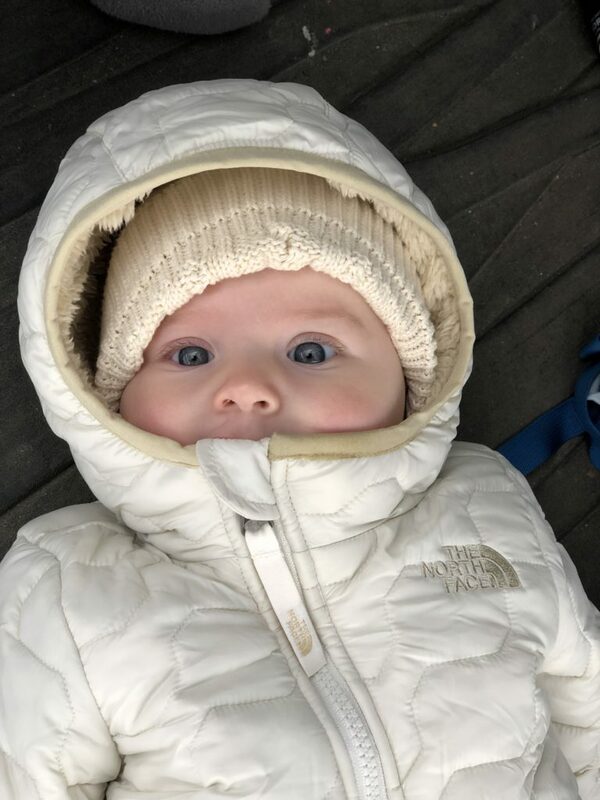 His first day on skis this year didn’t go quite as we had hoped. 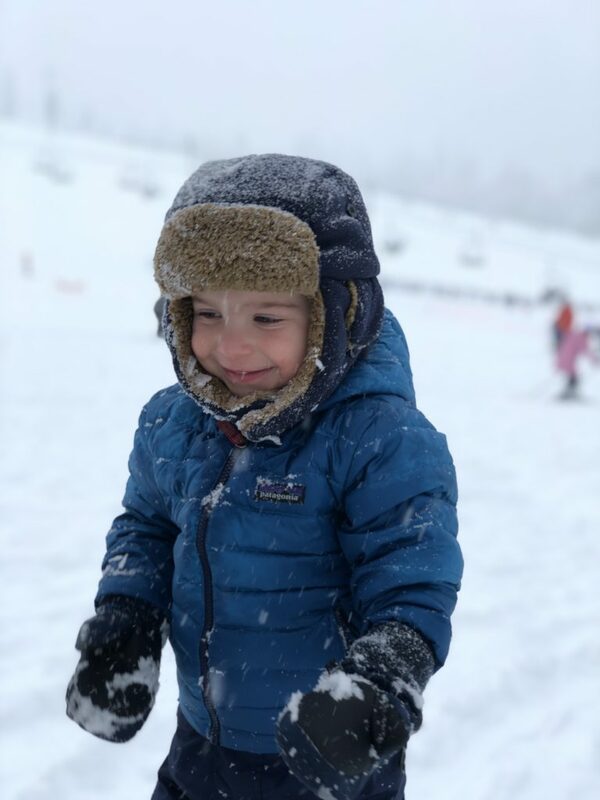 The stars did not align for us on Ben’s first official ski day. 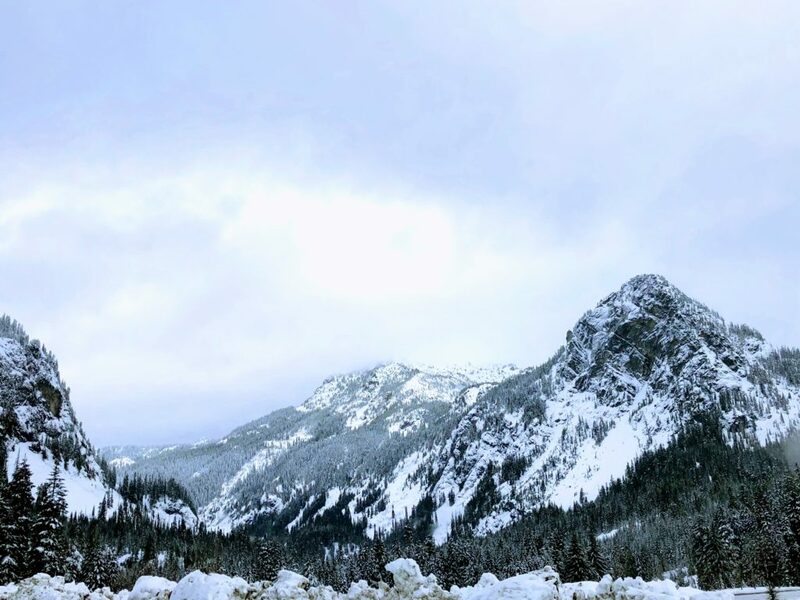 It was just after Christmas and Ben fell asleep in the car on the way to the mountain. He woke up on the wrong side of the car seat when we arrived and it took a solid hour and a half for him to chill out. During the course of that 90 minutes when we were *those* people Alex and I were trying to be conscious to not push the whole concept of skiing too much so as to create negative feelings towards it. Eventually we decided to bring our gear up to the ski lodge and go play in the snow and have some lunch. Lo and behold, apparently, despite having had a big breakfast, Ben was starving. He ate a gigantic hot dog, in addition to some chicken and fries. Our lunch lasted more than an hour because he wouldn’t stop eating. Finally he told us he wanted to go skiing, so off we went. By that point we had been gone for quite a while and I hadn’t left enough milk for us to be away from Hannah for more than a handful of hours. 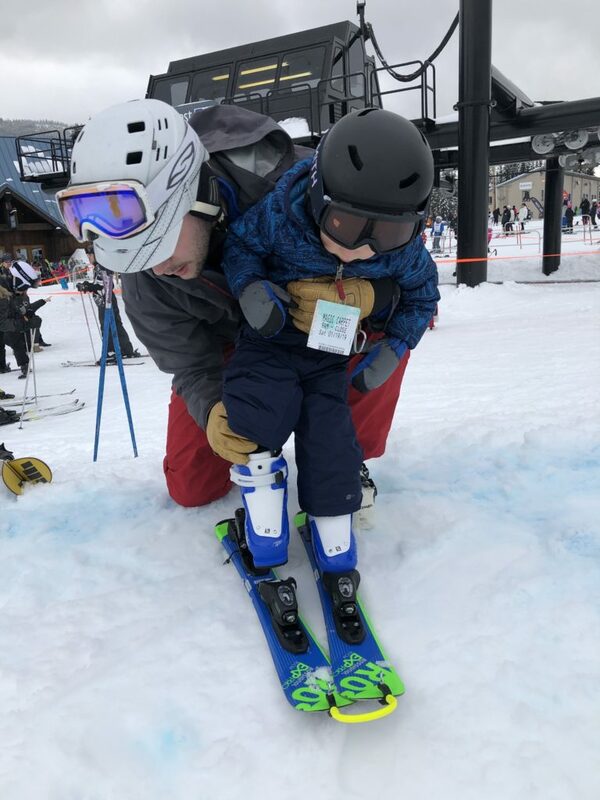 We called it a day when we were on a high note and Ben wanted to keep skiing. Despite the rocky start, we chalked it up as a success! Day two happened last weekend and it was SO much fun. Ben loved his first day on the magic carpet. Hannah and I were the official cheerleaders while Alex played ski instructor. For me, the best part of the day was watching the pure joy on Ben’s face as he and Alex sailed down the bunny hill. In any case, I think Ben is hooked. This time around he wasn’t interested in eating lunch, pushed it aside and said he wanted to go skiing. Alex happily obliged and they had a blast. Sweet Hannah loved the fresh mountain air and had herself a lovely day, too. 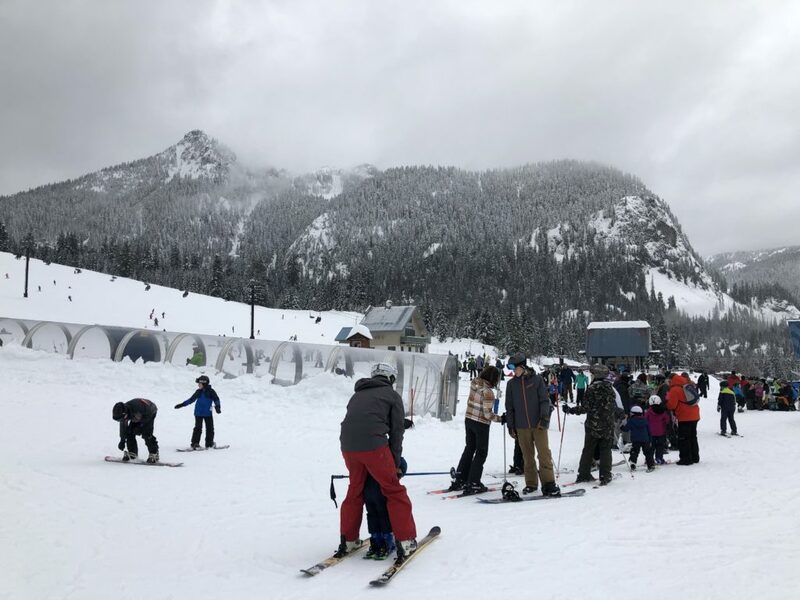 This entry was posted in Benjamin, Life and tagged skiing, skiing with kids on January 24, 2019 by Alison Allen.